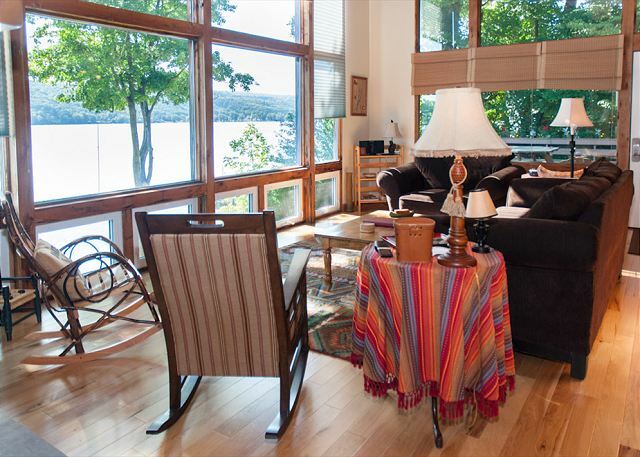 Keuka Lake Lodge is the quiet retreat you’ve always dreamed of, with one of the best views on Crooked Lake! 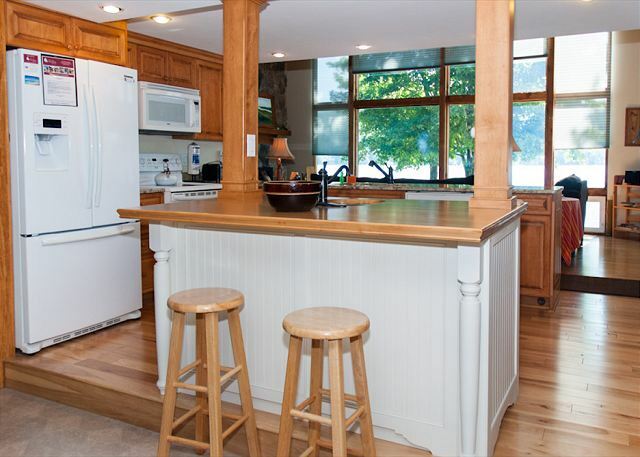 This newly renovated 4 bedroom, 3 baths home is finely appointed with quality bedding and furnishings, and offers high end amenities including Wi-Fi, a flat screen HD TV, Blue Ray DVD player, and cable; yet tucked in a tranquil spot on the bluff where you can get away from it all! 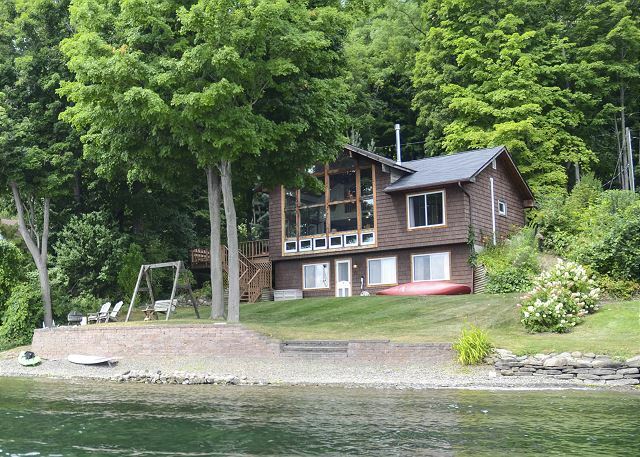 The spacious, yet intimate setting makes this home perfect for couples, or for the entire family to enjoy their own privacy. 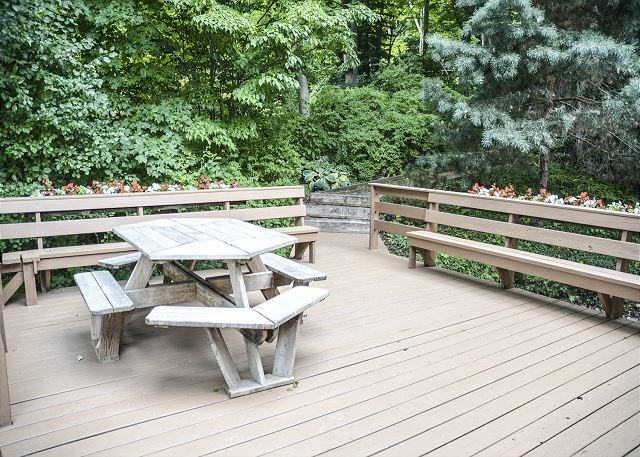 The scenic walkway leads you to the private deck, where you can enter through the front door. 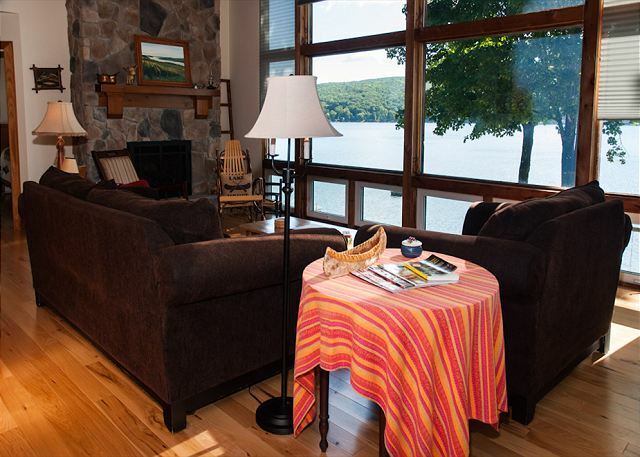 Step inside to the great room, and be swept away by the view from the floor to ceiling windows! 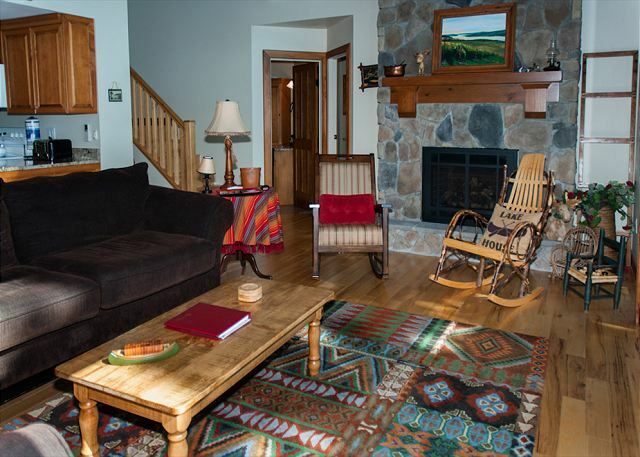 The beautiful floor to ceiling stone gas fireplace along with the hard wood floors emulates a lodge like feel. 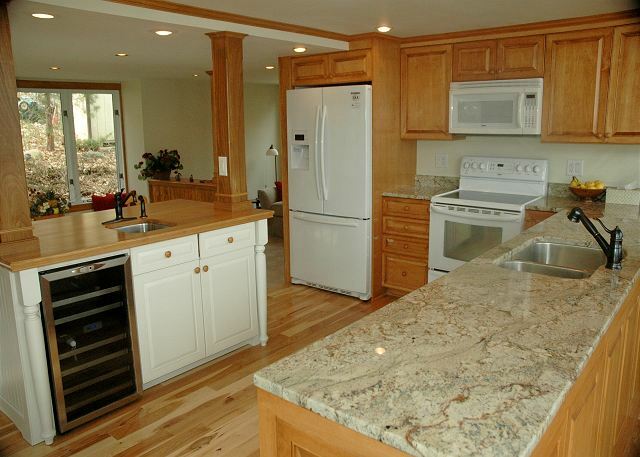 Open to the great room is the kitchen, which is a chef’s dream come true. 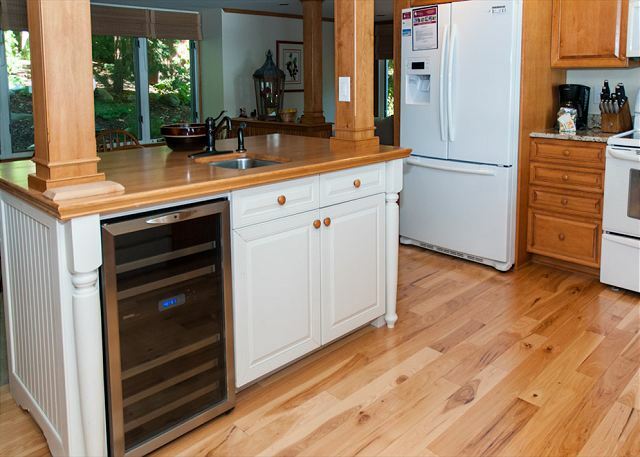 Granite countertops, custom cabinetry, a butcher block island, and a wine fridge are all available for your enjoyment. 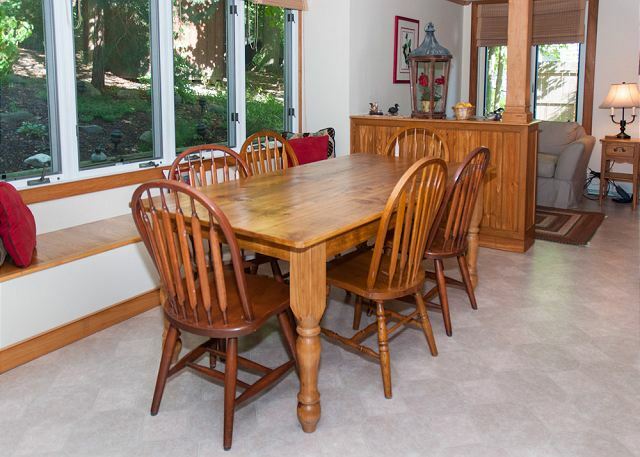 The dining area features a large farm house table, and a beautiful bay window which looks out to the landscaped front yard. 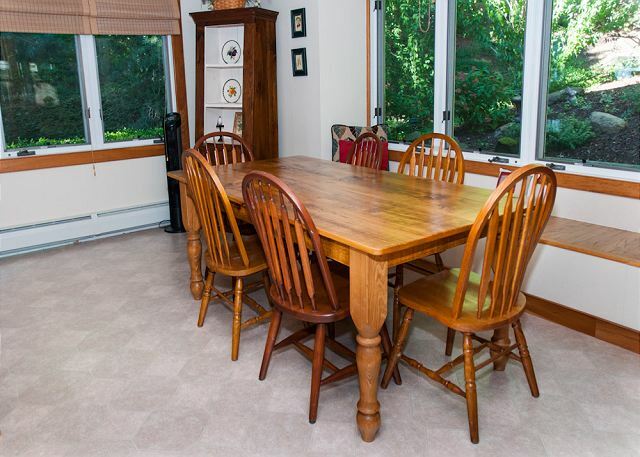 A bead board half wall separates the dining area from a cozy sitting area, just right for watching TV or reading a great book. 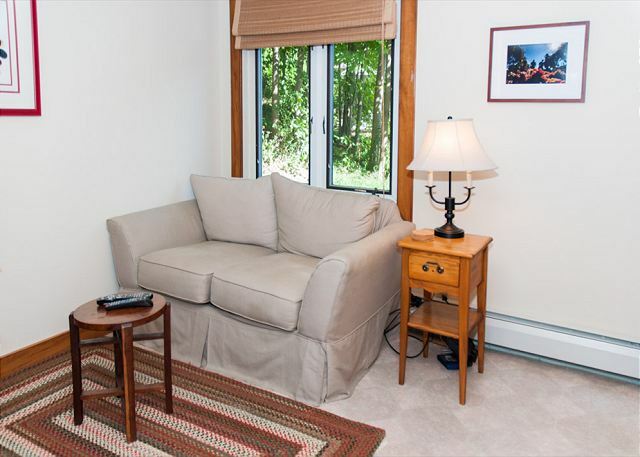 A bedroom with a queen size bed is conveniently located on the first floor, along with a full bath with tub/shower combo. 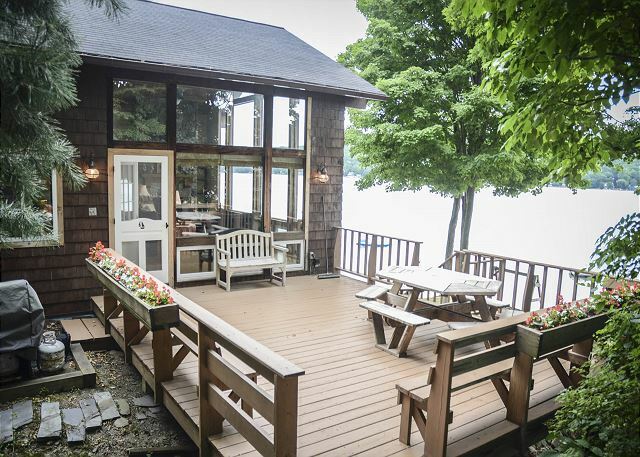 Retreat upstairs to the loft which also offers amazing views of the lake! Just off of the loft is the Master Bedroom, with queen size bed, a TV and its very own Master Bath with shower. 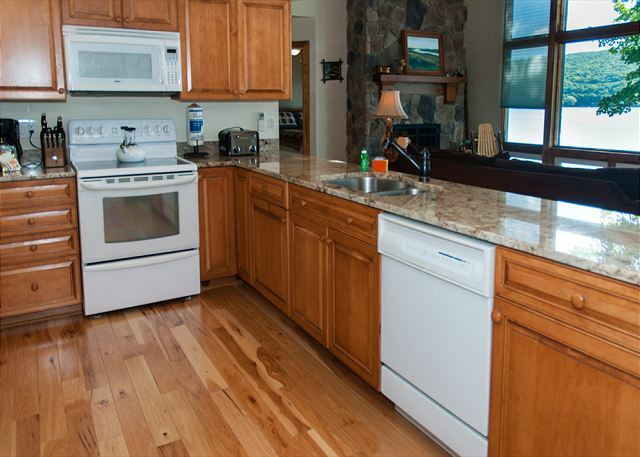 Head downstairs to the lower level where you will find the family room with a flat screen HD TV, and a Blue Ray DVD player for your entertainment. 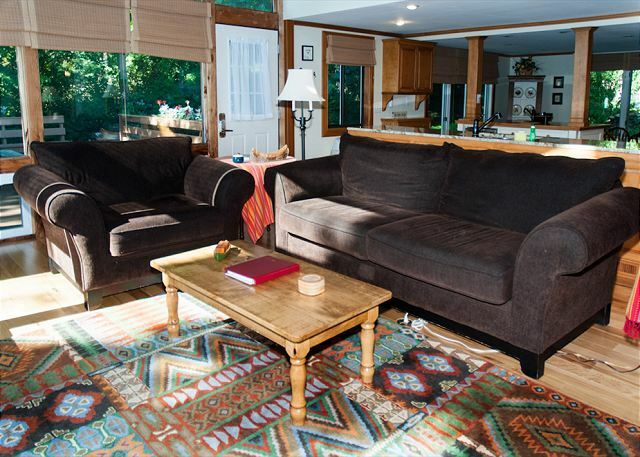 The family room is cozy, tastefully decorated, and features high grade wood laminate floors. 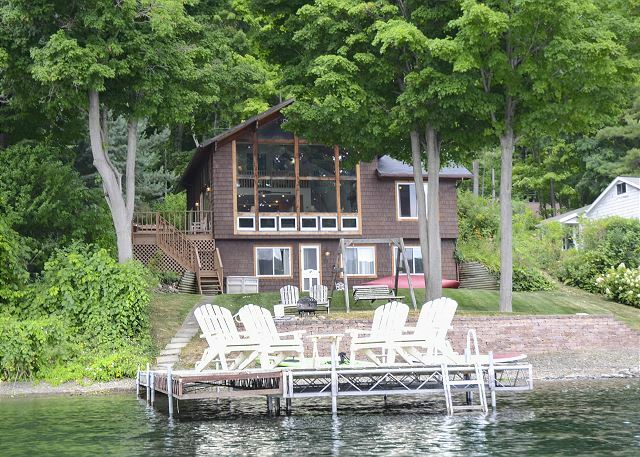 Walkout access to the lake makes this a great gathering spot. Two more bedrooms, one with 2 single beds, and the other with a queen bed are located on this level. A full bath with tub/shower is located off of the family room. 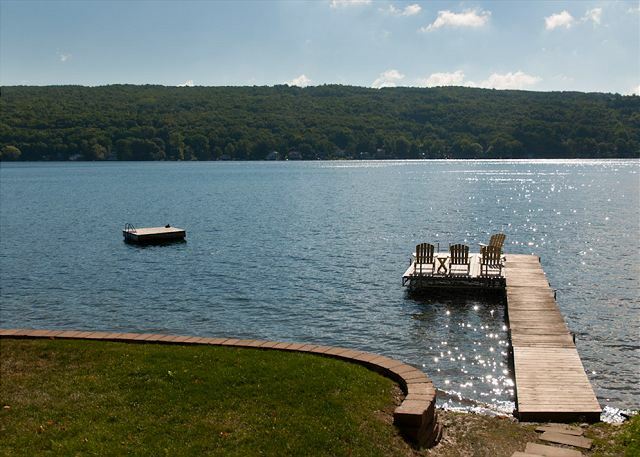 The cove like back yard and lakefront offers the perfect amount of sun and shade. 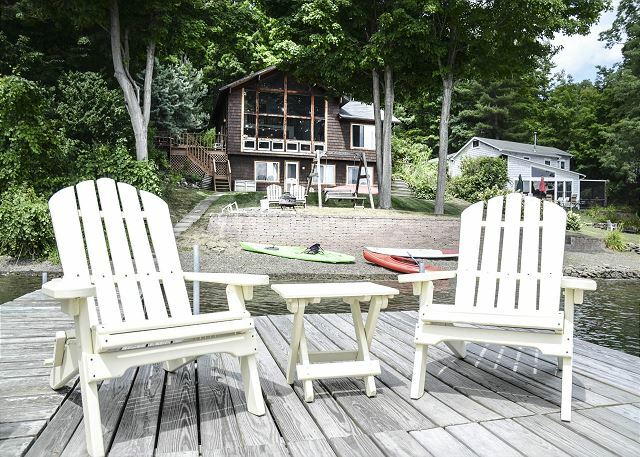 Unlike other properties on the bluff, this home has a large, gently sloping lawn which offers a place to play or relax in the swing overlooking the lake! 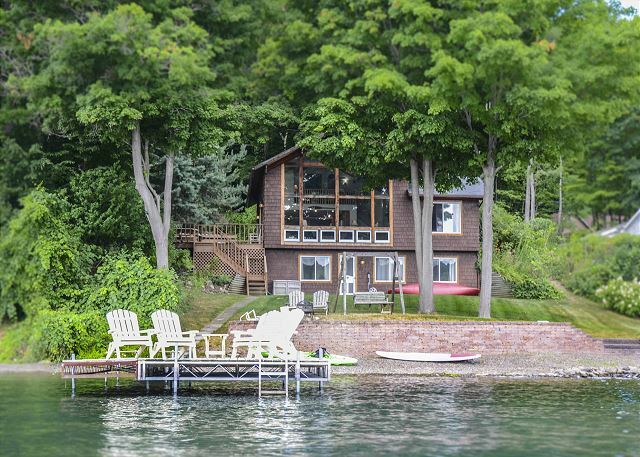 The gradual lakefront, with its clear, shimmering water leaves you feeling relaxed and refreshed. Take in the beautiful bluff scenery from the kayak as you paddle along. Enjoy a small campfire under the stars, with the fire pit located on the beach. 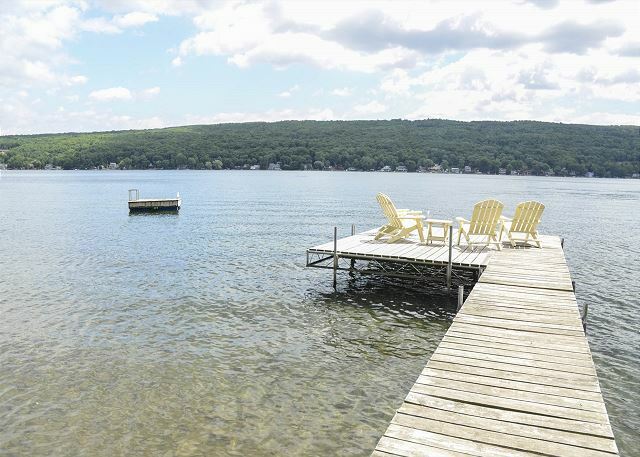 Keuka Lake State Park is only a short drive away, as well as the town of Penn Yan where you can find great restaurants and quaint shops. 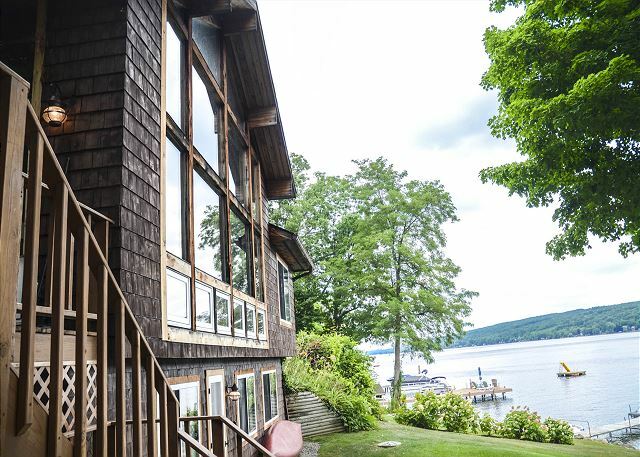 Tour the Keuka Lake Wine Trail, but be sure to bring your favorite kind back with you, because Keuka Lake Lodge will be the spotlight of your vacation! Call now to reserve!